What’s So Great About Kids Skateboarding? It helps boys and girls develop self confidence on a number of levels. 1. Skateboarding is great exercise! When I was a child, there was no such thing as an ipad, ipod, or a tablet. The great thing about this was that unless I was allowed to play Nintendo (which I was only allowed to do for about an hr per day) I would be outside doing some sort of physical play. Unfortunately it can be difficult to convince children these days to put down the Play Station controls, however, if you can get a child involved in a sport that is a ton of fun, they will not even realize that they are getting exercise. Skateboarding is a “positive addiction” for thousands of children around the country, and the number is growing. 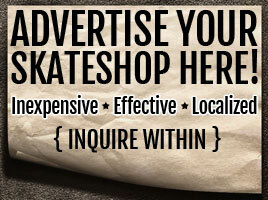 As a partner with Goskate.com skateboarding lessons I’ve had the experience of seeing thousands of kids benefit from a lasting romance with this great sport. There is nothing like mastering a new task that can give a child a sense of self worth and happiness – especially when the task mastery is combined with positive feedback from an adult. Skateboarding is the perfect mix of challenge and attainability. 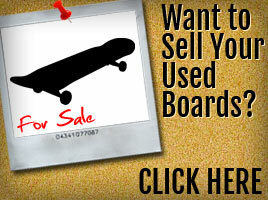 Most children ages 5-12 can master the basics of maneuvering a skateboard in the space of a couple of hours. Secondary skills like pushing and turning can be attained in a couple of additional hours. After the child can ride comfortably on the skateboard, children can often learn how to do a trick like the Ollie in 4 or 5 hours. The Ollie is a great starter trick because it is the basis for more complex skateboarding tricks like the kickflip. Sometimes competitive sports can have a negative impact on children who feel that they are not up to the competition. As a mentor in the the Big Brother Big Sister program, I had first hand experience with this situation with my “little brother”. He began to play football about a year ago when he was 12. He has a fairly fragile personality in spite of his large size, so when he encountered the physical roughness that is common in football, he didn’t handle it well and ended up taking the coaches’ suggestion that he “help coach the team.” This was a well meaning attempt to soften the blow of taking him off the team, but my little brother still brings it up, and I am sure he sees it as a mark of shame. Skateboarding helps a child develop the skill set at their own pace in private, and when they feel confident enough, they can begin to do it with other children as a type of team sport. Best Buy For Beginners! 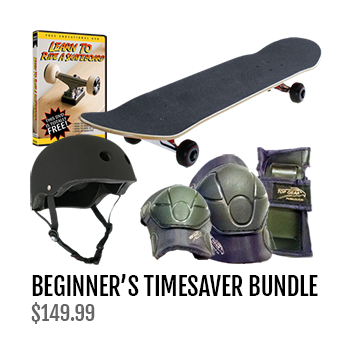 ONLY $149.99! Learn to Skate Like a PRO! Revolutionary Trick Tutor for Beginners ONLY $79.99!